What Happened at the Glade Roadhouse in New Zealand? If you have often traveled along State Highway Five between Tirau and Rotorua, you may be familiar with the iconic building that has been home to the Fitzgerald Glade Cafe since the early 1960s. If you drive by today, you will see that it now boasts a new name. The popular tourist stop was taken over late last month by its new owner, David Walter, who believes it has great potential. Walter has been in the food service and hospitality business for most of his life. He gained his experience in managing restaurants and lodging in places like Auckland, Australia and the Bay of Islands. Before acquiring the Glade Cafe, his most recent New Zealand business was the Ballinor Motor Inn on Ulster Street in Hamilton, which opened in 2008. The Fitzgerald Glade Cafe got its name from the green New Zealand oasis also known as Tukorehe Scenic Reserve, where travelers are awestruck by the towering vegetation and lush tree ferns that line the roadway. The business has plenty of potential, and this is underscored by its history. With seating for up to 120 guests, outdoor dining capacity and free, off-street parking, the Glade has been used for conferences, private functions, and parties. In the past, its menu has typically included moderately priced breakfast, brunch and lunch choices complete with vegetarian and gluten-free options and a beer and wine selection. The cafe is located along a popular tourist route commonly known as the Thermal Explorer Highway; the volume of traffic in the area typically exceeds 5,000 vehicles per day. 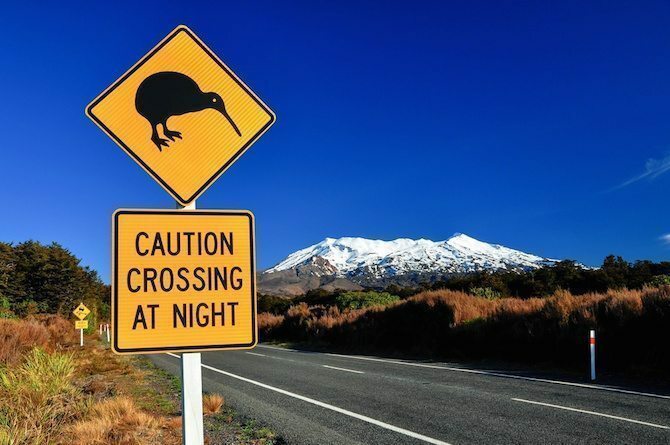 Surrounding attractions such as Kuranui Lodge, Off-Road New Zealand, Tirau Museum, Wingspan Trust, Rail Cruising Mamaku and the Mamaku Blue Winery bring in plenty of carry-over business. Hungry, tired tourists and locals will be able to enjoy the new Glade Roadhouse Cafe and Store. The store will serve as a cross between a roadhouse and a general store that supplies coffee, restrooms, Wi-Fi access, toiletries and other supplies in addition to tasty meals. According to Walter, the entire interior and exterior of the establishment is getting a facelift. The cafe’s main sign has already been revamped with its new name outlined in black and orange; the remaining signage will soon follow. Walter’s first move was to clear overgrown trees and vines away from the windows and tidy up the on-site residence so that he could move in. Getting more light inside helped to brighten up the space, which Walter described as “grotty” in its original state. The cafe’s decor, menu, and merchandise will receive an overhaul. It will be updated with modern features, but its iconic feel and the sense of tradition that made it so beloved by locals and visitors will be carefully preserved. To lure new customers, Walter intends to extend the cafe’s business hours and add a convenient takeaway menu. Because great coffee is virtually a necessity for any traveler, the Glade will be upgrading its brew. Instead of the traditional imported Australian coffee, the cafe will now offer Vivace from Christchurch. To make the space more relaxing and family friendly, the cafe now boasts play and rest areas with toys, high-quality bean bags for children and couches for adult customers. 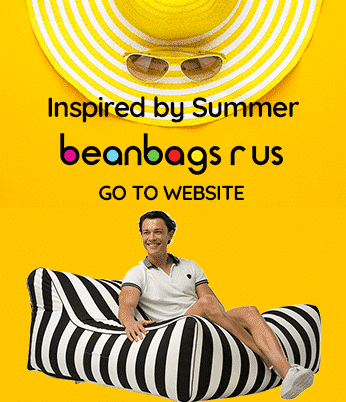 Durable bean bags from Australian company Bean Bags R Us offer custom branding options that add a fresh, professional touch to any newly renovated space. The plush seating provides a comfortable reprieve for road-weary parents, and the play area is a perfect place for restless kids to burn off excess energy. Plans to develop an outdoor entertainment area are also in the works. So far, 43 chickens and a pair of goats are available for visitors to feed and enjoy. Mini Kunekune pigs and an alpaca may be added in the future. As the nature of the business gradually changes, the opening hours at the Glade will shift as needed. But the new owner does not intend to close early on quiet days as was the tradition in the past. You will be able to eat, rest, shop and enjoy fun attractions at the new and improved Glade Cafe seven days a week.